Content marketing is the primary strategy Agile Education Marketing uses to generate leads, qualify leads and close sales. Regular blog articles, monthly webinars, quarterly primary research that is then packaged as infographics, articles and whitepapers, and playbooks are all used to fuel Agile’s email, social media, SEO and SEM programs. Underscore develops the annual content calendar for Agile and then provides the research, writing and design services needed to develop the content. Since content became the focus of Agile’s marketing efforts website traffic has increased, email engagement is up, and leads are more qualified once the Agile sales team connects with them. Thousands of schools use the Big Universe digital literacy solution to provide their teachers and students with high-quality nonfiction and fiction text to support lessons across the curriculum. Underscore has interviewed dozens of Big Universe users to showcase how they are using the more than 11,000 eBooks to address budget shortfalls, increase reading, and improve student achievement. The resulting success stories are posted to the Big Universe website, shared by sales reps with prospective customers, and used by existing customers to discover new and exciting ways to leverage Big Universe. CORE has helped districts and schools across the country improve their math and literacy instructional practices and outcomes for students. Underscore met with the principal and several teachers at Washington Elementary School in Lamar, CO to learn about their professional learning experiences over the course of three years with a CORE Instructional Implementation Expert. 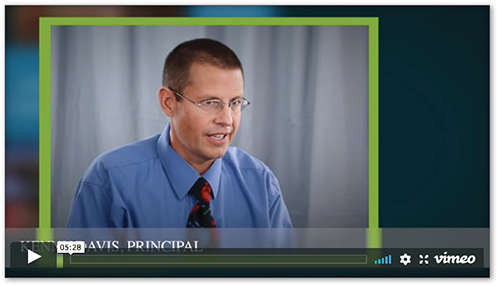 Through a series of interviews, Underscore created a video that showcases how working with CORE enabled Washington Elementary teachers to significantly improve their students’ reading performance using research-based instructional strategies. 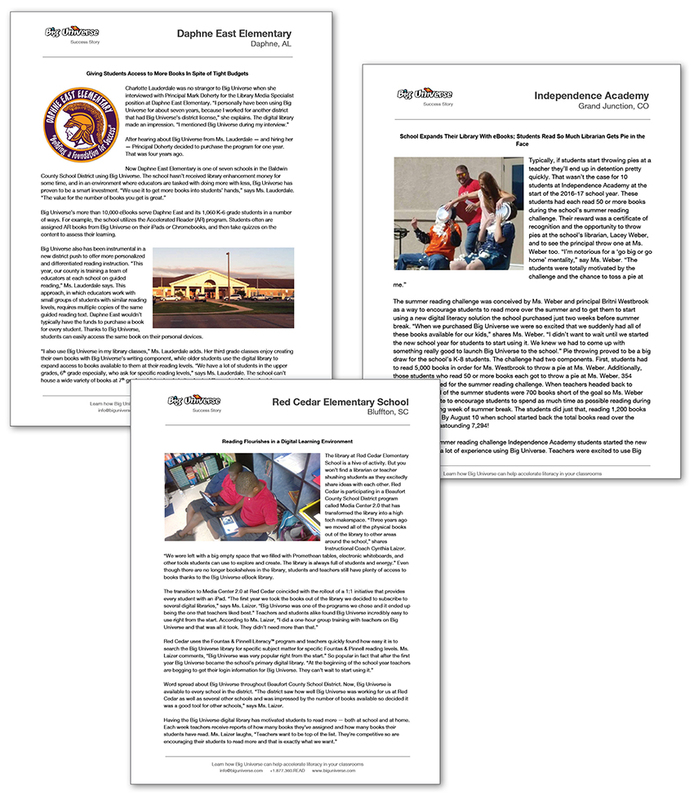 Districts and schools invest significant portions of their budget in educational technology. Unfortunately, edtech is often not implemented well or to its fullest effect. 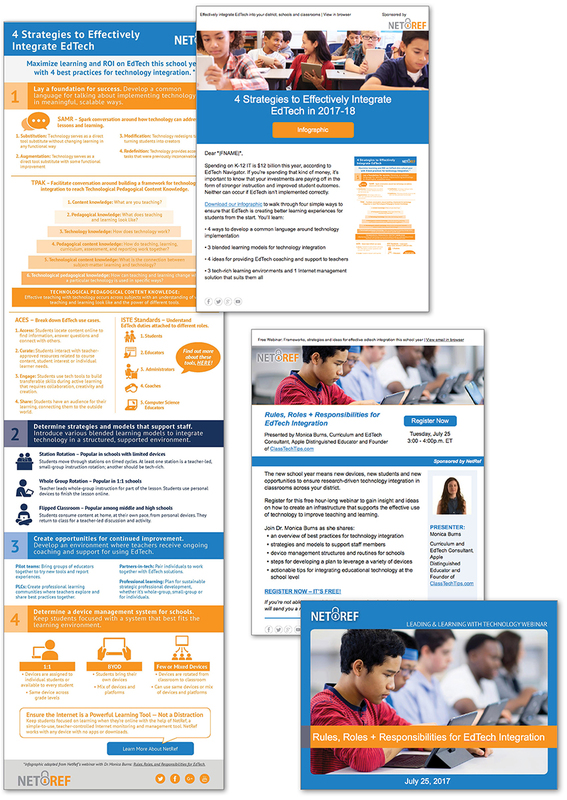 Articles, webinars, whitepapers, and infographics created by Underscore for NetRef provide educators with information to help them maximize learning and ROI. These content pieces are used with great flexibility to support email marketing, social media and SEM campaigns. Educators rely heavily on the recommendations of their colleagues when they are researching new products and solutions. 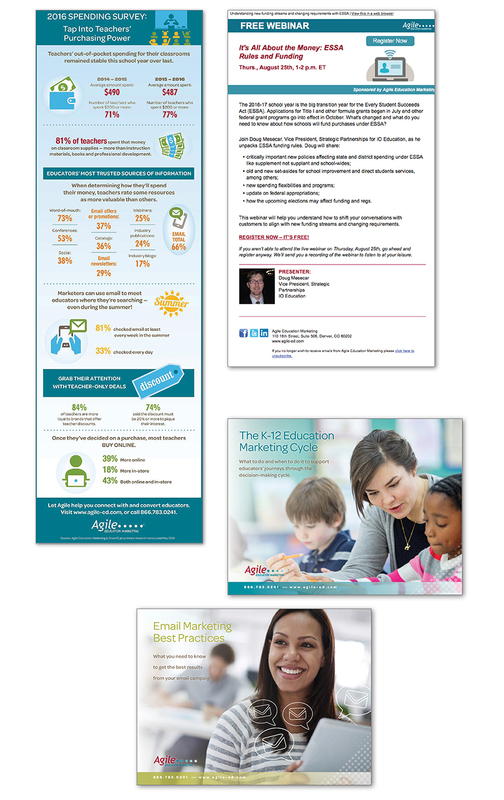 Schoology engaged Underscore to develop a series of case studies with diverse school clients that they could use to tap into the power of influence marketing. 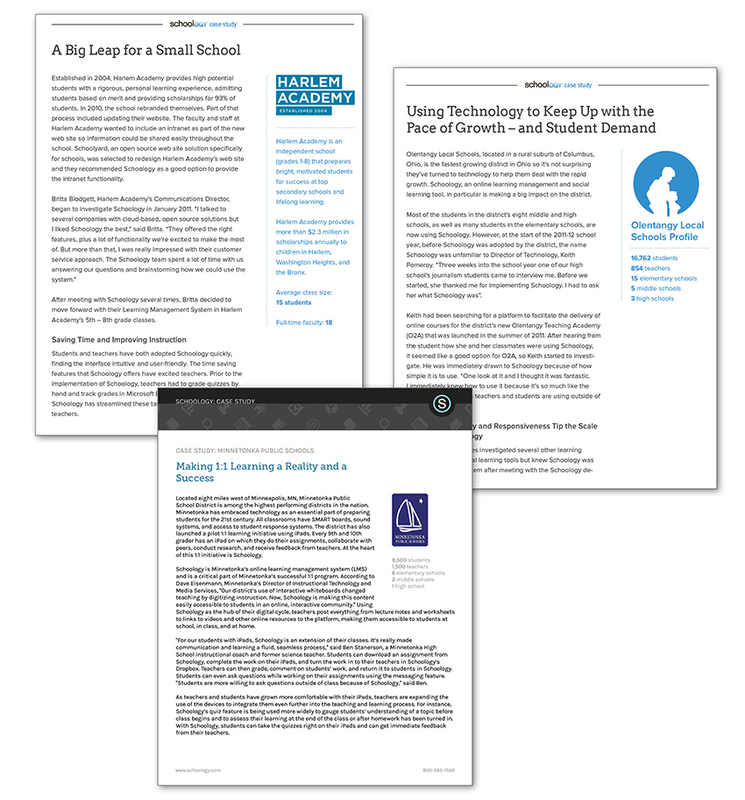 These case studies clearly outline the challenges the schools were facing and how the Schoology learning management system has helped them accomplish their goals.